Our last newsletter, October 2017, was sent after the successful 30th conference in Beijing. Now it is time to prepare for the 31st conference. 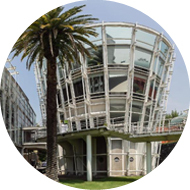 The conference will be held at Escuela Nacional de Danza Clásica y Contemporánea, Mexico City, July 22-27, 2019, with Paloma Maciás Guzmán as on-site organizer. 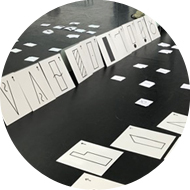 The deadline for sending proposals on the application of Kinetography Laban/Labanotation and other Laban-based concepts and methodologies is September 20, 2018. Meanwhile, János Fügedi, Tom Brown, and Marion Bastien are actively working on the Proceedings of the Beijing conference, to be released in 2018, or early in 2019. We are happy to welcome Sungu Okan, ICKL member from Turkey, as our newsletter Editor, with the contributions from Marion Bastien and Raphaël Cottin, respectively ICKL Secretary and Chair of the Research Panel. After a temporary interruption, we are back, and hope you enjoy your reading of newsletter #6. In 1993, ICKL published an index of technical matters compiled by Sharon Rowe, Lucy Venable, and Judy Van Zile. 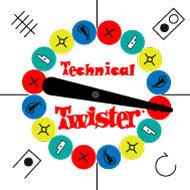 In it one can find some rules and technical subjects difficult to find elsewhere. Since then, no compilation work has been done. The Research Panel has therefore worked to continue this index and plans to publish, at the next conference in Mexico, the few rules officially adopted by the Council since 1993. One of them is entitled "The 8/8 Scale for Contraction and Folding," proposed by Ann Hutchinson Guest in 1997 and officially adopted in 1999. 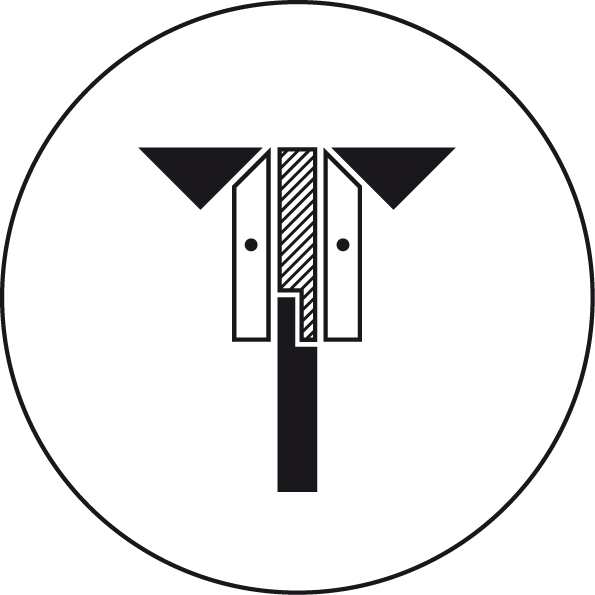 Several new members joined - or rejoined - ICKL in 2018. Welcome to Marcus Vinicius Machado De Almeida (Brazil); Alejandra Ferreiro Pérez (Mexico); Ronald Kibirige (Ugandan, currently in Norway); Anna Oplocka, Hanna Raszewska-Kursa, Malgorzata Skoczelas (Poland); Chommanad Kijkhun (Thailand); Ambre Emory-Maier, Carla Guggenheim, June Idrissa, Hannah Kosstrin, Jonette Lancos, Beth Megill (USA). Kenyon College Professor Julie Brodie and senior dance major, Hannah Russ, staged L'Après-midi d'un faune from score in the spring of 2018. Kenyon students performed Vaslav Nijinsky’s 1912 historic piece at the OhioDance Festival in Columbus, OH, the American College Dance Association conference in Athens, OH, and as part of the Kenyon College Dance Ensemble Spring Concert. Ann Hutchinson Guest and Claudia Jeschke coached the staging and were in residence at Kenyon for one week. 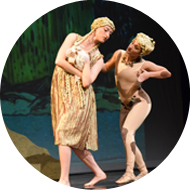 This staging featured a female performer as the faune, and a student lecture provided historical context for viewing and understanding the work. 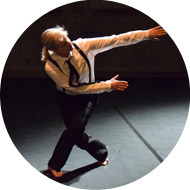 Christine Caradec reconstructed Charles Weidman piece’s Lynchtown (1936) for the amateur dance group Le Terrain Vague (Nice, France). This project was sponsored by the yearly programme Danse en amateur et répertoire from Centre national de la danse (France). The piece was performed with 9 other sponsored projects during a “national encounter” in Besançon, May 26, 2018. To conclude the event, the 120 amateur dancers participating in the national encounter learned and performed part of Die Welle [The Wave], a choral dance choreographed by Albrecht Knust in the 1930s. The reconstruction was led by notators Marion Bastien, Dominique Brun, Christine Caradec, and Ilse Peralta. For those of you that may not have heard of this landmark project, which is under the umbrella of MMDG’s Above and Beyond campaign, the plan is for Mr. Morris to create approximately one extra dance per year from here on out that will premiere after Mr. Morris has passed away. The first work (as yet untitled), for 10 dancers set to music by Alessandro Scarlatti, has been completed. While the choreographic work is complete, all designs will be planned out, but not executed. Costumes sketches, videos of rehearsals, music score annotations, a Labanotation score, as well as interviews with Morris and the dancers will be preserved in an archive. In the coming years, before too many of the current dancers have left the company, the dance will be dusted off and rehearsed again. New video and notes will be added. “That way,” says MMDG executive director, Nancy Umanoff, “when the time comes, at least some of the people in the company will have performed it in the room with Mark." In August, Leslie Rotman traveled to University of Washington's Chamber Dance Company in Seattle to notate Joseph Gifford's intensely moving The Pursued. The historic work for two dancers was inspired by Picasso's Guernica and the violent fascist takeover in Spain which led Picasso to create his masterpiece. Gifford was a dancer and protegée of Doris Humphrey who encouraged him to expand his original 1947 duet into a full three section work with an original cast of Mary Anthony and Gifford himself. The notated production, arranged by the unstoppable Hannah Wiley and taught by the talented Catherine Cabeen and Matthew Henley, was based on their 2009 performance, which had been staged by Gifford and which he proclaimed his favorite. Performances will be October 11-14, 2018. The supportive notation-friendly rehearsals gave Leslie Rotman everything needed to create a Labanotation score that will be a clear, authentic and accurate representation of the choreography. The score will be finished in the next few months. The Pursued will be available for educational use and performance. Permission and fees for performances will be determined on an individual basis. For more information feel free to contact Leslie Rotman. She highly recommend it. The Swiss Federal Office of Culture has selected for 2018 the project “Studies from the dance works of Sigurd Leeder” as one of five projects devoted to the topic of dance as cultural heritage to receive support in 2018. As part of the project, a DVD will be produced, accompanying the publication on Leeder’s methods by Ann Hutchinson Guest. Meanwhile, Karin Hermes whose project “Sigurd Leeder” was selected in 2016, is currently touring with the lecture-demonstration she created, Sigurd Leeder: Flowing over the Edge (next performances: September 19, Bern, and September 22, Lausanne), and the exhibition “Sigurd Leeder – Spuren des Tanzes”/ “Sigurd Leeder - sur les traces de la danse” is presented in Lausanne (until december 2019). On the website of the University of Maryland, there is an online exhibition titled “Irmgard Bartenieff: A Personal Journey Through Dance”. Through this exhibit readers may get a glimpse into her life and come to know her: dancer, scholar, therapist, Labanotator, student, teacher, and author. 8 students graduated in May 2018 from the Conservatoire national supérieur de musique et de danse de Paris (CNSMDP), after four years of specialized studies in Kinetography Laban led by teacher Noëlle Simonet. The new certified professionals in notation are: Roméo Agid, Léa Bonnaud, Claude Gamba, Sophie Jacotot, Blandine Laignel, Stéphanie Lepeu, Carolina Vilela, Andréa Samain. Language of Dance (LOD) Associates began their summer with a Language of Dance® workshop at the LIMS Laban/Bartenieff 40th anniversary conference in New York City held at Hunter College. The LOD's summer activities continued with courses in both Los Angeles (Loyola Marymount University) and New York City (92ndY Dance Education Laboratory) where both new and returning students explored fundamentals and developed applications within their own dance practices. The LODC is working toward a ten-day Stage 1 Certification course in Los Angeles in Summer 2019. 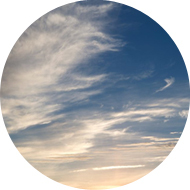 5 workshops are organized by Envol des Signes, from October 2018 to April 2019, in Paris, France. For five weeks of the summer, Teresa Heiland brought eleven students from Loyola Marymount University to France to explore dance with ICKL members Olivier Bioret, Noëlle Simonet and Béatrice Aubert. The dancers performed in Paris at Le Regard du Cygne on Friday July 27, 2018 and Bioret’s 12 Signs was also shared upon the dancers return to Los Angeles at LMU on September 10, 2018. More details and photos on ICKL Facebook. Laban Webinar series continues with seminar #15 which will take place on September 10 at 8:30 AM (New York time). The title is “Laban in Asia.” The presenters Nayung Kim, PhD, BC-DMT, SEP, CMA (South Korea), Vincent Yong, CMA (Singapore) and Tony Zhou, CMA, PhD (China) will share their experiences and perspectives of Laban work and development in their countries. Registration is online. 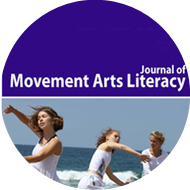 New issue of Journal of Movement Arts Literacy, Volume 4, Number 1 (2018): Voices of Notators: Approaches to Creating a Score. Elementary Labanotation: A Study Guide. With a chapter on Motif Description by Odette Blum, by Muriel Topaz, (second edition, January 2001, Dance Notation Bureau Press) is now translated in Chinese by Wendy Chu, and available online. Tirza Sapir, choreographer and Eshkol-Wachman Movement Notation specialist passed away on March 18, 2018. She was a member of ICKL since 2011 and she participated the ICKL conferences in 2011, 2013 and 2015. Ivor Guest, historian, writer and a very important supporter of Labanotation passed away on March 30, 2018. Mr. Guest was the husband of Ann Hutchinson Guest. He was chairman of the Royal Academy of Dance for twenty three years (1970-93) and among his many books, the most important was The Romantic Ballet in England (1953), covers the phenomenal 1840s when Ballet had a triumphant period in England. Donald McKayle, a dance icon and modern dance pioneer passed away on April 6, 2018. A performer, choreographer, teacher, director and writer had a wide-ranging impact on the United States' creative and cultural landscape. His works titled Blood Memories, Games, One, Two, Three, Follow Me, Rainbow 'round My Shoulder, and Angelito Negros are Labanotated and can be found in DNB library. Toni Intraviaia passed away in April 25, 2018. She was the owner of Creative Dance Workshop and involved with many organizations including Dance Notation Bureau and Sacred Dance Guild. She was a member of ICKL since 1973 and the treasurer of the community from 1980 to 2005. Rose Anne Thom, notation teacher, member of the faculty at Sarah Lawrence College, dance critic, passed away July 21, 2018. She was revered by students and peers for her no-nonsense but loving advice. She was a member of ICKL from 1977 to 2014. Paul Taylor, a seminal figure in American modern dance and great supporter of notation, passed away August 29, 2018. Taylor hired in-house notators for decades. Nearly 50 of his pieces have been documented in Labanotation, thanks to notators Janet Wickline Moekle, Jane Marriett, Sandra Aberkalns, Siân Ferguson, Robin Hoffman. In order for us to prepare ICKL Newsletter #7 (January 2019), we kindly ask you to send your news before December 15, 2018 to newsletter@ickl.org. You are welcome to send us news that could be of interest for the Laban community such as announcements of courses, workshops, lectures, restagings, new scores or scores in progress. If you have an illustration to provide, it will be most welcome. Information about new books, journals, reports on Laban’s work or items including Labanotation can be recorded in the following Google form. If for some reason you are not involved anymore in notation activities and want to unsubscribe, simply follow the link in the footer of this page.